Once a Week, Go Greek! Sushi Kiku - Don't Fall For the "Bargain"! 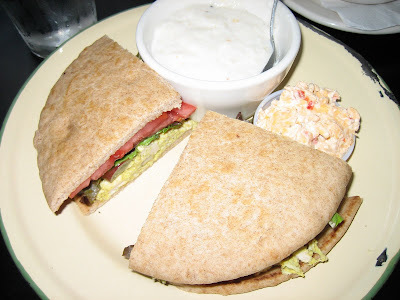 Bombay chicken salad sandwich with grits & a side of pimento cheese to mix in! My Dad is visiting this week and I took him to West Egg Cafe for lunch. I was disappointed that the weekend brunch specials were not offered, but I suppose that's why they call them "Weekend Brunch Specials"! Instead I enjoyed the Bombay chicken salad sandwich - curried chicken salad with grapes and walnuts. For my side I asked for the pimento cheese grits, but apparently those are also a weekend special. Still, I was able to mix in some pimento cheese with the regular garlic grits for a similar effect. I had to let Dad try the Coca-Cola cupcake, which I found out is made with Coke syrup rather than drinkable Coke... hmmm, maybe I could try to duplicate this at home. The taste is very unique, with a faint Coke taste that is not overwhelming. The cream cheese frosting definitely gives it a little something extra also. This place is packed on weekends but it wasn't that busy when we arrived for an early lunch on Tuesday. Go during the week if you can; otherwise, prepare to wait! 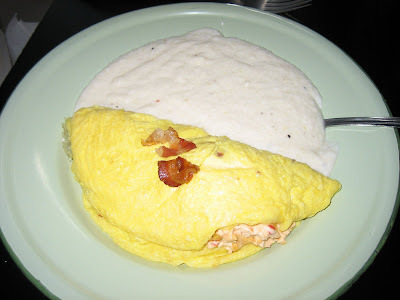 Pimento cheese and bacon omelet with garlic grits. 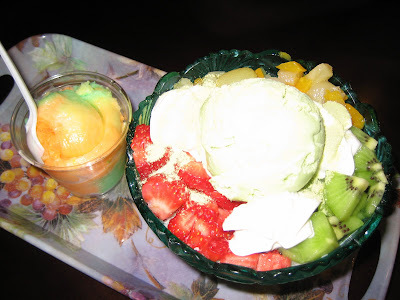 Over the weekend I tried the shaved ice at Mozart's Cafe & Bakery on Buford Highway. The shaved ice has the best consistency - like snow - and is doused with sweetened condensed milk (actually the sweet flavor may actually be IN the ice and shaved after it's already sweetened). Then it's covered with fresh and canned fruits and a scoop of ice cream - in this case green tea. Sweet red beans are usually added also, but I'm not a big fan so thankfully they informed me of this prior to putting those on top! A delicious summer treat for sure. 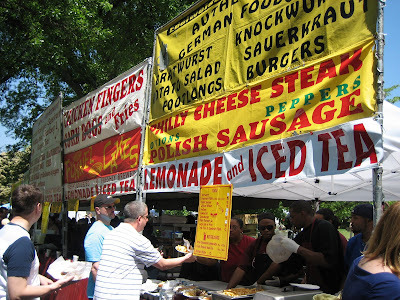 Surprisingly, I didn't eat anything at the Inman Park Festival, but I enjoyed photographing some of the offerings. It was a beautiful (hot) day on Saturday - overall a fun day of parade-watching, encountering a few old friends (including some I hadn't seen in a long time) and making some new ones. Signature pie with a dollop of whipped cream. On Friday night after grilling a nice meal for my friend Katie (visiting from Houston), we stopped over at The Pecan, near where she was staying at the Airport Hilton, for some dessert. 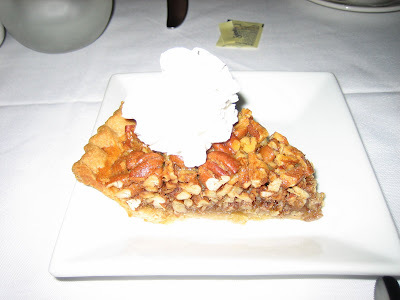 The pecan pie and the peach cobbler were both tasty; the regular menu here looks pretty expensive considering the location but places like this are livening up College Park and the surrounding area. Somehow I've eaten near the airport a lot lately - very unusual! 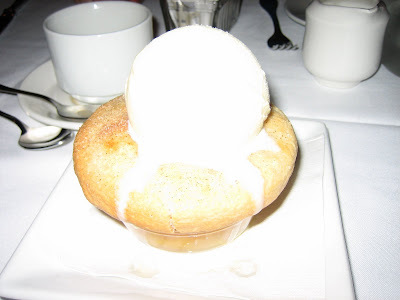 Peach cobbler with ice cream. 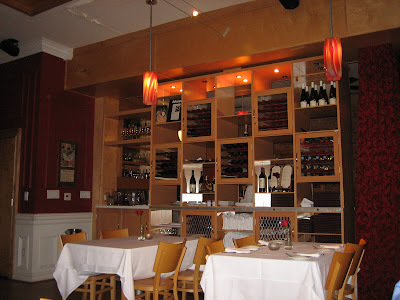 View of the dining room (bar on other side of wine rack). 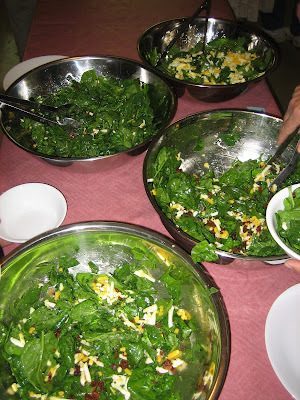 Spinach salads with bacon and eggs. On Wednesday I helped serve dinner for the UUCA Wonderful Wednesday Earth Day Dinner. There was a huge turnout and everyone enjoyed the tasty goat cheese grits with mushroom ragout, spinach salad with eggs and bacon, various fresh veggies and angel food cake with homemade whipped cream and fresh strawberries. 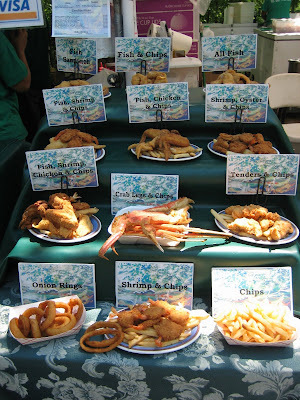 Almost all of the food came from local, organic sources. Thank you everyone for coming out to this one and thank you Dana and all the other assistants for all your hard work. 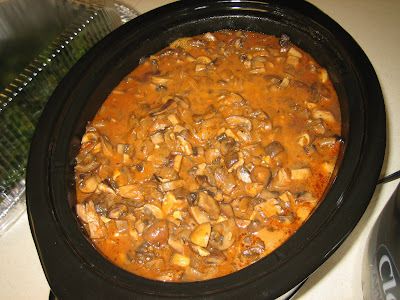 Mushroom ragout - this smelled like heaven! 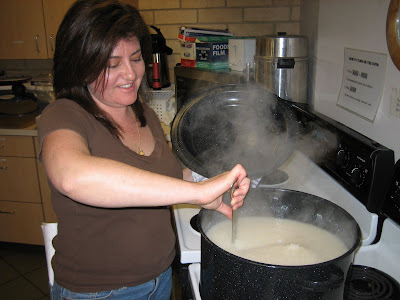 Dana, chief organizer, mixing the enormous grits pot. 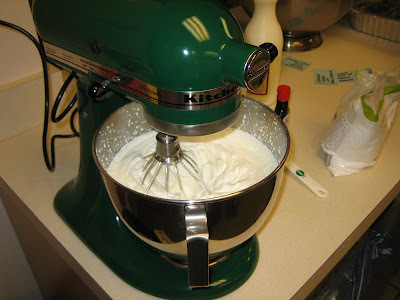 Making whipped cream the easy way - KitchenAid - can you give me one?? You must taste this ice cream. I've always been a big fan of Haagen Dazs ice cream. Recently I discovered you can check their website to see where a particular flavor can be found in your area. I was also very pleased to find that their green tea ice cream may be available (I previously thought it was a limited edition flavor that was no longer being sold in the US) locally. Actually, it was supposedly available at an area Target, but when I went there I was told someone had just purchased the last two pints! Saddened, I made do with Vanilla Honey Bee, and I am pleased to report that it is GREAT! You need to try it - NOW. 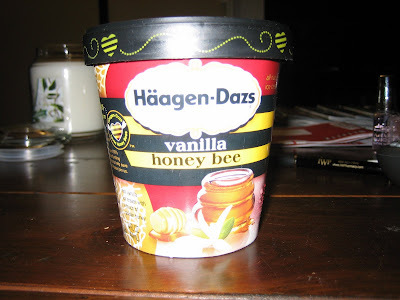 The honey flavor is incredible, and as usual for HD, the ice cream is very creamy and delicious. It made me want to make ice cream soon, so look for a post on that during these next few warm (AKA steamy hot Atlanta) months. Just out of the oven - well except for that top chip that already got the sour cream treatment. 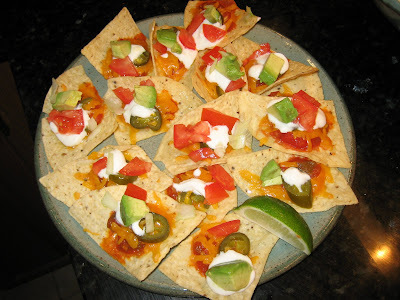 One of my favorite things to make for a quick and easy meal/snack is homemade nachos. 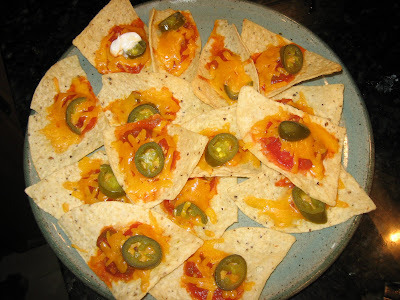 Buy the largest chips you can find, pre-heat your oven to 425 and spread chips out on a cookie sheet or baking pan. Spoon a small amount of your favorite salsa in the center of each chip, place some shredded cheese (I used sharp cheddar this time) on top and, if desired, add a jalepeno slice. Bake for 5-8 minutes, until the cheese is melted. 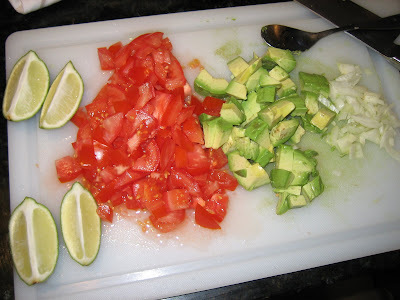 Serve immediately with your favorite toppings such as sour cream, diced avocado, diced tomato, chopped onion & lime wedges. Enjoy!! Toppings galore - also, don't forget the sour cream (not pictured). Mmmmm... ready to eat nachos each with just the right amount of goodies. 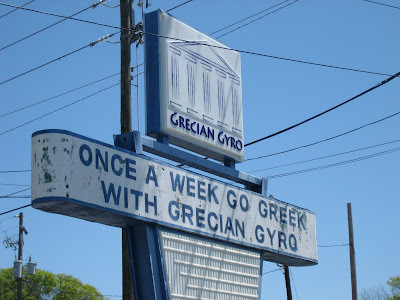 On the way to a hospital south of Atlanta (going to handle an adoption) my paralegal Toni and I stopped at Grecian Gyro in Hapeville for lunch. 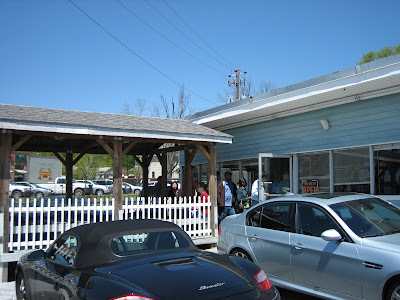 Just of I-85, this is a great spot for a tasty lunch. When we arrived the line snaked out the door and since it's a small place, this is probably the norm. After ordering we waited about 15-20 mins. for our food, but it was so worth it! 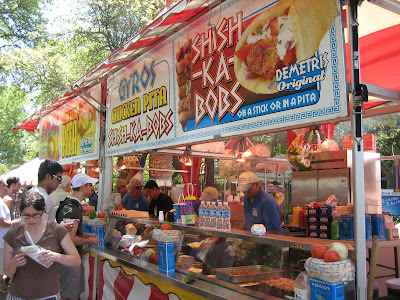 The gyro meat was cooked perfectly and the flavor was outstanding. 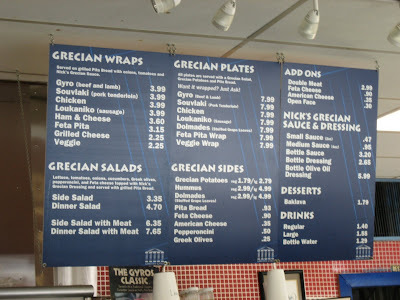 The Greek potatoes were also very tasty, especially with the "secret sauce" served on top or on the side. 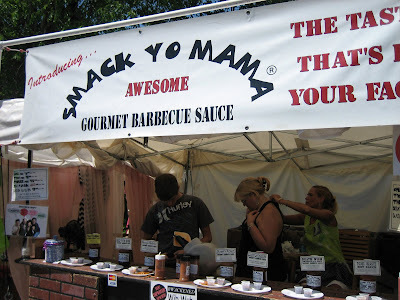 I saw several people come back up with their plates asking for more sauce, which was also good on the meat. 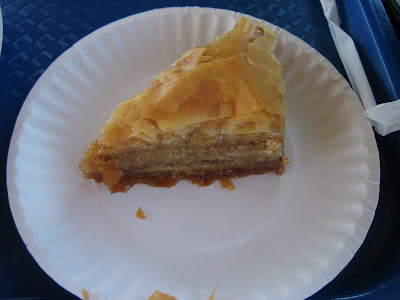 Toni enjoyed her chicken wrap and we both crooned over the baklava (a pretty hefty piece for the price) for dessert. The only disappointment was that the dolmades (stuffed grape leaves) were tasteless. Next time I'll stick to the potatoes, or maybe try the hummus. The kitchen crew here was great to watch - while you're waiting you can sit at the counter just across from the grill. This would be a great spot to try on the way to/from the Atlanta airport. The small, nondescript building and deck seating. 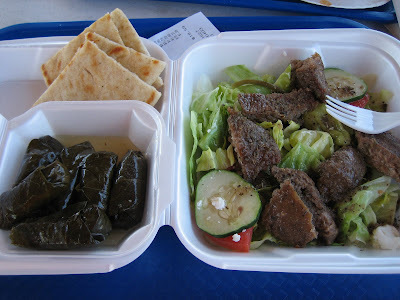 Side Salad with Gyro meat, with dolmades and warm pita bread on the side. 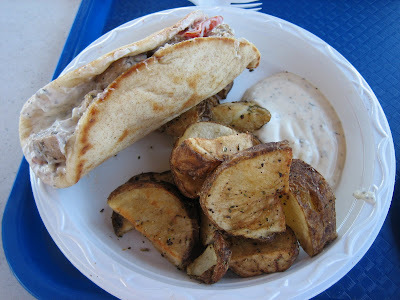 Chicken wrap with Greek potatoes & delicious sauce. Please see updated post about Button Cakes here. 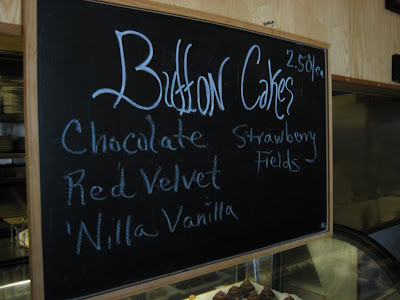 After receiving a 2 for 1 coupon in the mail, I decided to check out the cupcakes from Button Cakes Bakery one morning in Decatur. 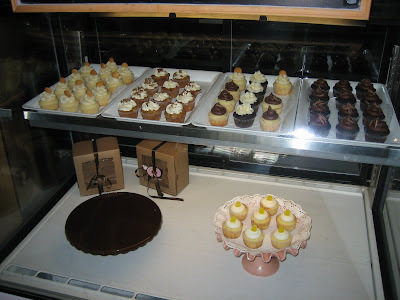 The cakes are sold inside Voila Cafe on West Ponce de Leon Avenue. 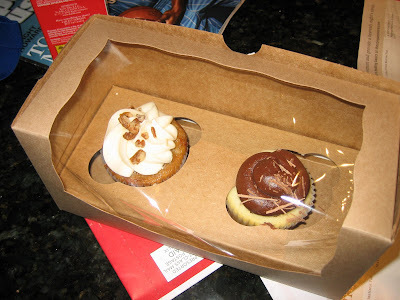 There is a display case in the back of the restaurant and the staff will box up your cupcakes to go in neat little cupcake boxes that make sure your cakes remain upright! The cupcakes I tasted were okay, but nothing great. Atlanta Cupcake Factory and West Egg Cafe both have better cupcakes, in my opinion. 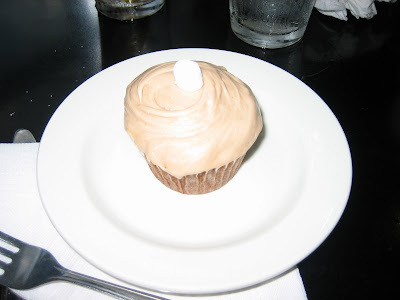 At Button Cakes, the chocolate frosting on the vanilla cupcake was excellent, but the cake itself did not stand out. The hummingbird cupcake was fine but even with the fruity cake it did not make a lasting impression. It's neat that Decatur has a place like this and the decor inside Voila Cafe is cute although I've never eaten there. Still, there are better places to buy cupcakes in the Atlanta area. Hummingbird and vanilla with chocolate frosting. When a BBQ restaurant has photos of cows on its sign... you know it has to be good! 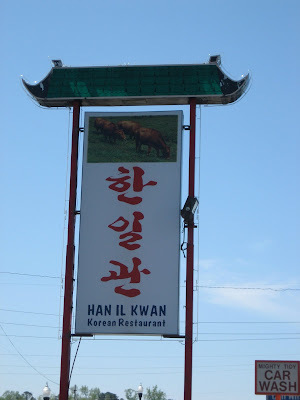 On Easter Sunday I ventured to Han Il Kwan with some friends and family members. 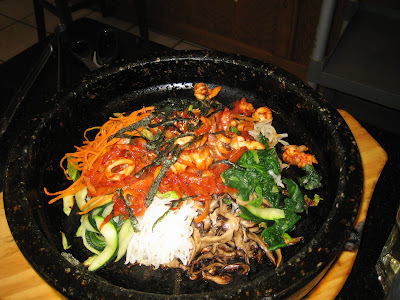 Although I've been to several Korean restaurants, this was my first experience with the tabletop grill. 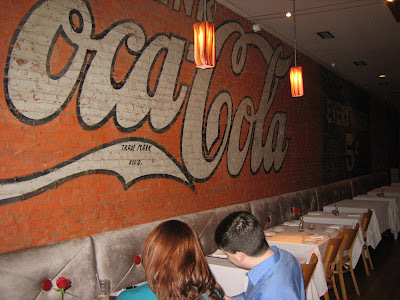 Overall the experience was very enjoyable - and much faster than one might think for a meal prepared at your table. The neat thing here is that the waitstaff is not intrusive nor are they putting on a show like at a hibachi place. 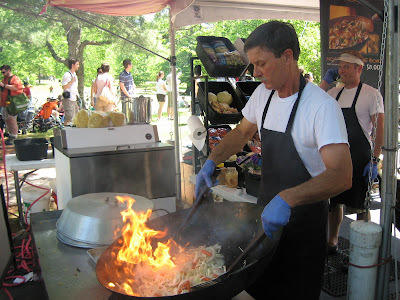 Instead, the waitress controls the grill and cooks everything, but you are responsible for pulling the meat off and wrapping it in lettuce leafs with rice, spiced lettuce, kimchee and other goodies. 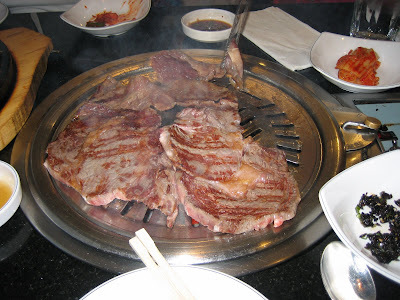 We tried the ribeye and the marinated beef shortribs. Both were delicious. The seafood pancake was also excellent. Since we had quite a few folks we also got a rice dish with seafood. Although this was fairly bland before we added hot sauce, I do like how the rice crusts up at the bottom of the hot stone bowl. 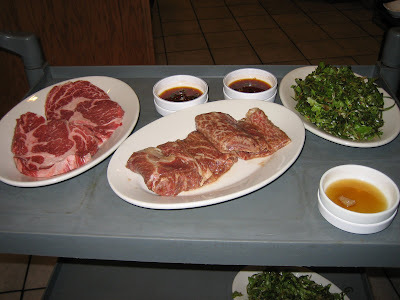 If you've never tried Korean barbecue, you should give it a shot. I've heard about several really good places in Duluth. 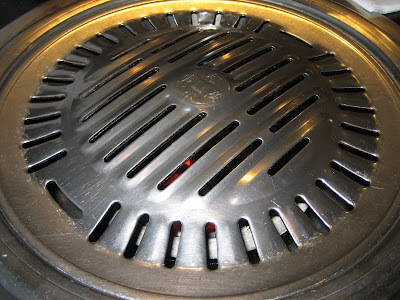 What's your favorite place for Korean BBQ? Please post to the comments section! Charcoal grill in the center of our table. 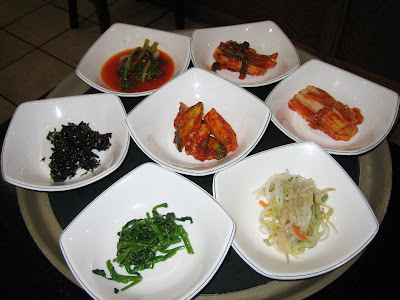 Banchan - my favorite was the one at nine o' clock - not sure what it is! Meat - ready to cook! 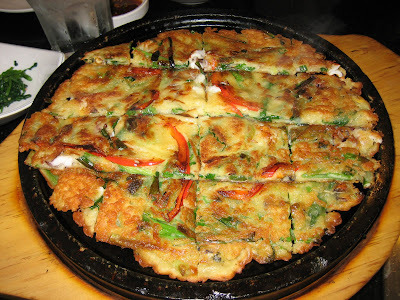 Seafood pancake - delicious and not as greasy as some I've tried elsewhere. 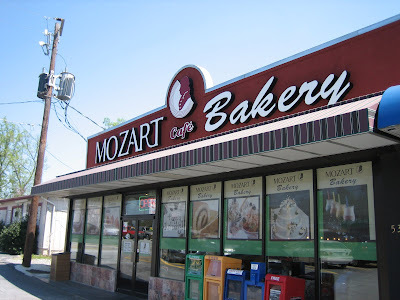 Outside Mozart Cafe and Bakery. After lunch we stopped by Mozart's for some ice cream. 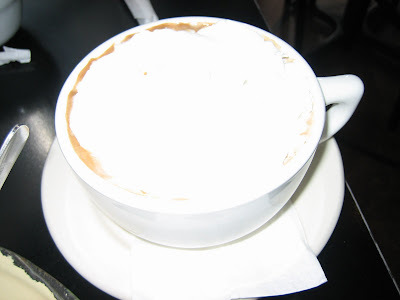 They have the best crumb cream bread here & an overall nice atmosphere for taking in a cup of coffee or tea and a pastry. Closest in the photo - my favorite crumb cream bread. I could eat one of these every day! Out front at the Midtown location. 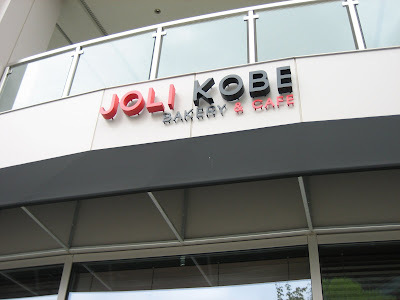 On Saturday after a successful and sample-filled trip to Costo, I ventured to Joli Kobe Bakery & Cafe in Midtown. 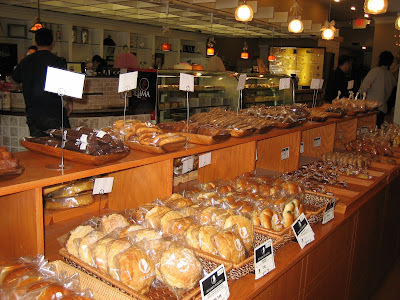 The atmosphere is very nice, similar to some of the Korean bakeries I've visited. Several customers appeared to be enjoying coffee and pastries rather than full lunch. The chicken mushroom crepe was delicious, definitely the standout. I wasn't a big fan of the vegetarian panini but I think it's because there was some kind of olive spread on it. 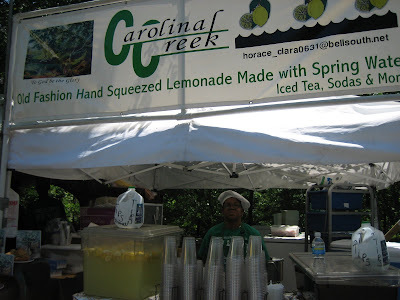 I want to return to try their curried chicken salad, which is one of my favorite lunch items. The creme brulee was fantastic and we (including a very precocious and curious almost 6-year-old who was with me) were able to watch the waitress torch the top to a nice, carmelized brown. The waitress said they are fairly busy at lunch and parking could be a problem, but if you come on Saturday or on an off time from lunch - anytime other than 12 to 1 - you should be fine. 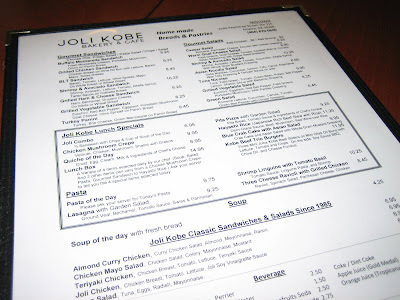 Joli Kobe is right next to La Pietra Cucina, a restaurant I still need to visit. 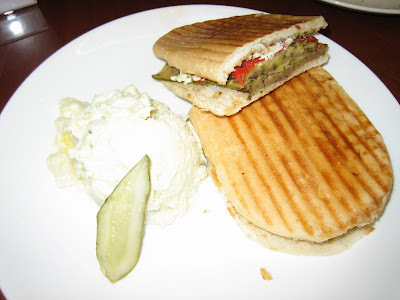 Grilled vegetable sandwich with potato salad. 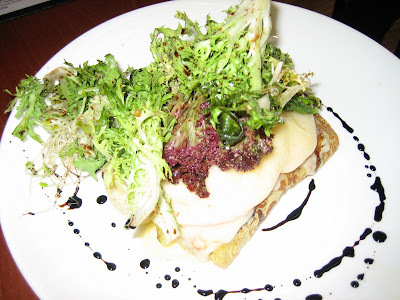 Chicken mushroom crepe with greens. 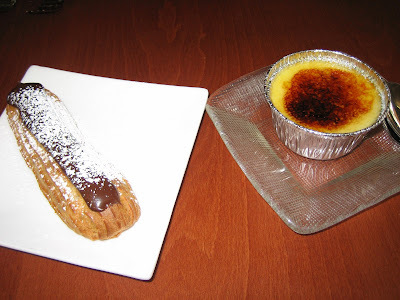 Chocolate eclair with chocolate filling and creme brulee. 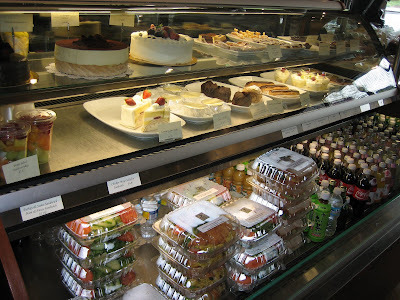 View cakes and to-go boxes in the refrigerated case. 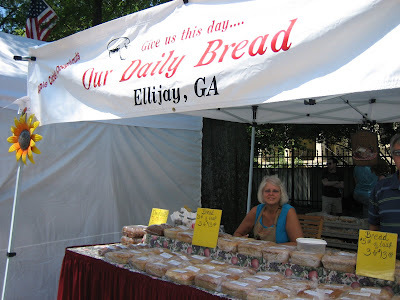 Breads for purchase are also available.